The Echo is a small vessel, designed by the Angel Cartel to be easily missed in the heat of battle, while posing a viable threat in combat. As such, it is intended to rush in with guns blazing and subsequently escape without being eaten up by larger ships. 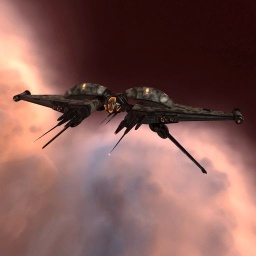 The Echo is a corvette (corvettes were formerly called rookie ships) provided by the Angel Cartel to teach new pilots fleet combat doctrine and tactics. The Echo is small vessel, designed by the Angel Cartel to be easily missed in the heat of battle, while posing a viable threat in combat. As such, it is intended to rush in with guns blazing and subsequently escape without being eaten up by larger ships. Further information about additional or recommended skills to pilot Reaper for a specific or it's common role(s) can be written here. No sub-article about Echo roles or piloting tactics. You can write them here. The Echo is the Angel Cartel Rookie Ship. This ship was given as a promo at Pax East 2013.